Products – EOS Defense Systems USA, Inc. The R400S Mk2 continues the EOS commitment to refine and improve its remote weapon system product range. The Mk 2 remains a single weapon station specifically developed to provide 30 mm firepower in a high precision weapon system weighing less than 400 kg. It retains its R400 heritage to operate a variety of other weapons including machine gun and automatic grenade launcher. The first round hit probability is provided through an enhanced integrated ballistic solution which analyses weapon and ammunition data; range and ambient environment in addition to vehicle attitude and dynamics. Performance can be further enhanced with optional video track of targets and multi-axis stabilisation. The Mk2 is ‘plug-and-play’ compatible with other EOS weapon systems. Below-armour control systems linked to above-armour mounting and cabling are compatible with other family members. The advanced technology of the R400S Mk2 combined with the lightweight 30mm ATK M230 LF cannon provides light vehicles with unprecedented access to firepower normally reserved for much heavier (armoured) vehicles. 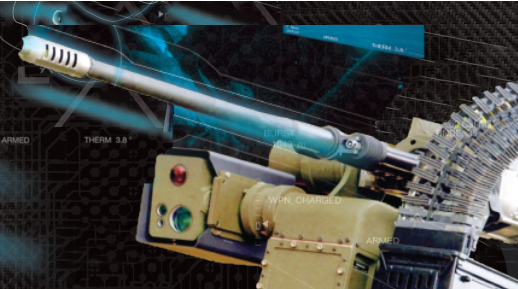 The R400S MK2 has evolved as the leading remote weapon system within its weight class. The Mk 2 can be configured as a single or dual weapon system to operate a variety of weapons including machine gun, automatic grenade launcher through to the OrbitalATK M230LF 30mm cannon. In its dual configuration it is equipped with the M230LF, 7.62mm MG (and optional missile) to provide significant and flexible lethality from a land or sea platform. The advanced technology of the R400S Mk2 combined with the lightweight 30mm ATK M230 LF cannon provides light vehicles with unprecedented access to firepower normally reserved for much heavier (armored) vehicles . 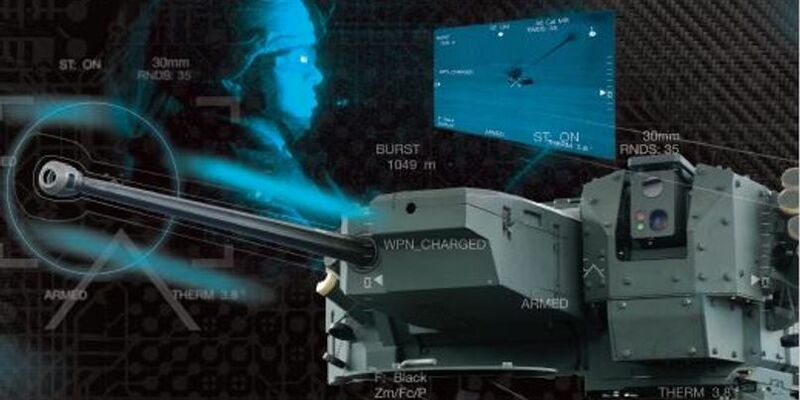 EOS is a leader in the development and production of robotic or Remote Controlled Weapon Systems (RCWS), optimized to mount existing and future weapon inventories. survivability is significantly improved when in control of a fully stabilized, remotely operated weapons and a sensor system which provides unparalleled detection, tracking and engagement. The ADDER™ MkII is a modular medium caliber RCWS capable of optimization to meet customer requirements for weapon and missile loads, protection levels and specialist capabilities such as active protection and other advanced technology payloads. The R150 is a light weight entry level remote weapon system designed with full compatibility with other EOS systems. It retains EOS’ high standards set during the CROWS 1 program coupled with EOS’ proven ability to deliver leading edge technology solutions. Our light weight RWS maintains the same vehicle interface as for other EOS RWS, a common control group combined with EOS’ trade mark sensor unit scalable to customer requirements for day and/or night fighting capability. 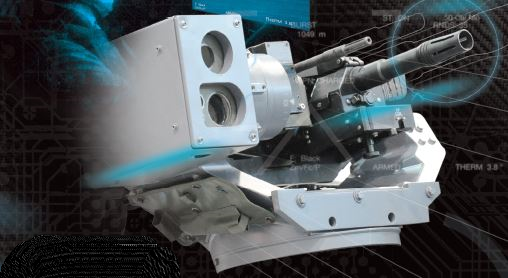 The fighting capability is finalized with an eye safe laser range finder to compliment performance in an un-stabilized or low-end two axis stabilization configuration. The R150 is a low cost RWS designed for 5.56mm. 7.62mm and 12.7mm calibre weapons suitable for both wheeled and tracked vehicles. 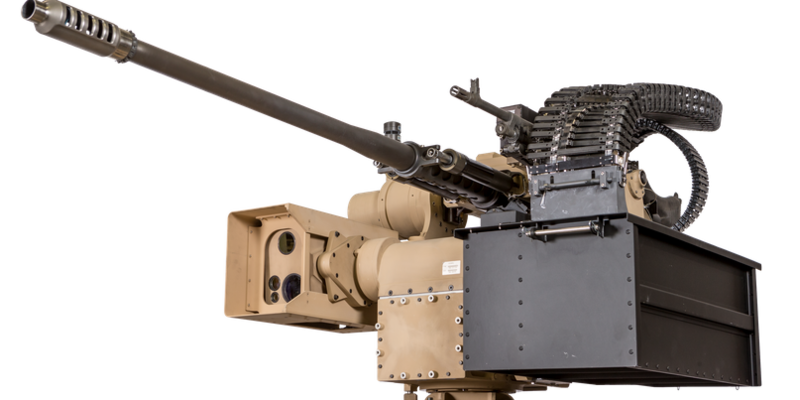 The R600 is a heavier remote weapon system capable of housing two weapons for maximum firepower, mission flexibility and responsiveness in operation. It integrates advanced surveillance capabilities including stabilized long-range sensors and battlefield sector scanning with up to 200 programmable target reference points for rapid engagement of possible targets directly from surveillance mode. 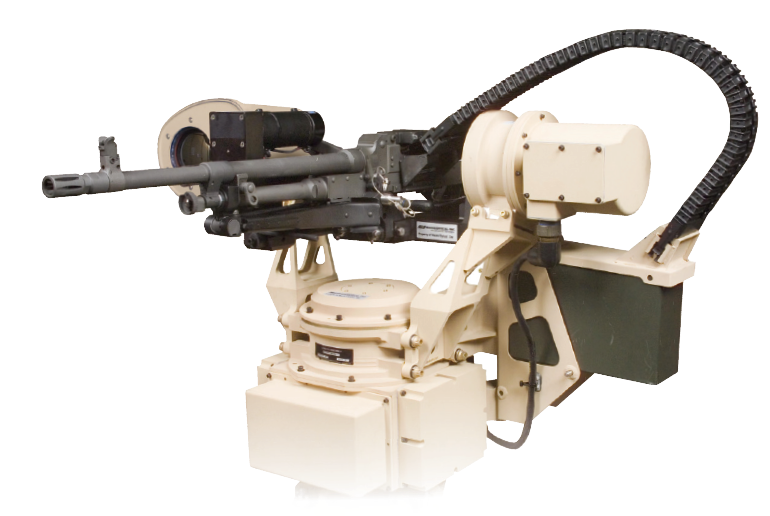 Twin automatic weapon configurations and single canon up to 30mm can be operated from the R600. First-round hit probability is exceptional as the sophisticated ballistic solution takes into account weapons, ammunition, range, atmospheric environment; and vehicle attitude and target motion. Like its lighter family members, the R600 is ‘plug-and-play’ compatible and is easily integrated with battle management systems. R-200 is a single weapon station capable of operating most 7.62 mm or 5.56 mm automatic weapons. First-round hit probability is provided by a ballistic solution taking into account weapon, ammunition, range and ambient environment. Vehicle attitude and dynamics, target video tracking, and multi-axis stabilization can be optionally added for enhanced first-round hit probability. R-200 integrates basic surveillance capabilities, including stabilized sensors and battlefield sector scanning with up to 200 pre-settable target reference points for rapid engagement from surveillance mode. All required sensors are deployed in a single, pre-aligned sensor unit. Sensors available include thermal imagers, compact eye-safe laser rangefinders, and high-resolution day cameras with up to x30 continuous zoom. An integrated sensor system allows lower cost, reduced weight, permanent sensor alignment, ease of cleaning, higher environmental and ballistic protection and EMP protection. Compatible, qualified sensor systems are available from multiple vendors. R-200 includes extensive built-in test and diagnostics to rapidly isolate faults or damage. R-200 is derived from a modular product base that has earned a strong record of reliability and high operational readiness rates in combat operations. R-200 is a fully-integrated member of the EOS R-series weapon system family, and is plug-and-play compatible with other EOS weapon systems. R-200 is scaled for light or unarmored vehicles to provide flexible firepower at reduced weight.